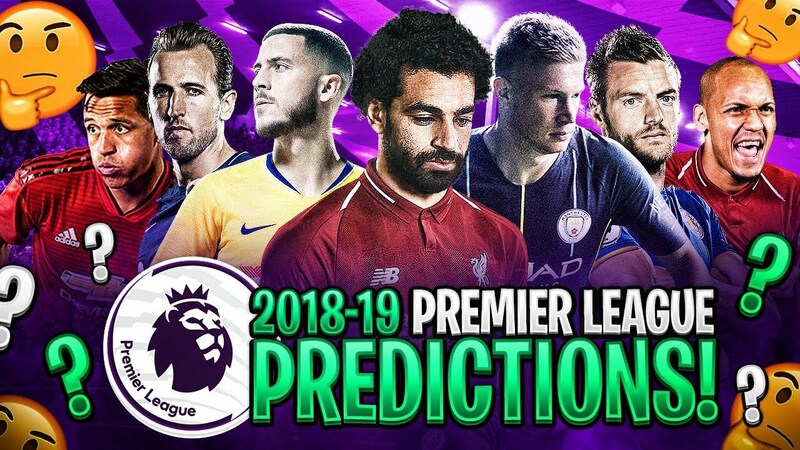 Welcome to a new series where I will predicting every match of the Premier League season with a guest each week, first up is our very own Dave Seager. Dave: An interesting prospect because Leicester managed to keep United target Maguire. However as unhappy as the United camp is they will have too much for the Foxes. 2-0 to Maureen’s Moaners. Alex: A great fixture to open the 2018/19 season, with Leicester busy on deadline day and United miserably failing to buy a centre-half, it’s an intriguing game, however United will win. 2-0. Dave: Narrow win for Rafa’s boys who have had a settled pre-season against what will be a disjointed Spurs team lacking in preparation and match fitness for key players. 2-1 home win. Alex: Spurs became the first team not to sign a single player in a transfer window and fans are frustrated they haven’t added to their side. Newcastle haven’t spent too much either but made some good additions in Schar and Rondon. Still think Tottenham will be too strong. 0-1. Dave: A battle of 2 teams I consider favourites for relegation but the Cherries Premier League know how will be more than enough to clip the wings on Warnock’s bluebirds. 2-0 to the home team. Alex: Bournemouth have made some astute signings in Jefferson Lerma and Diego Rico whilst Cardiff have not spent anywhere near enough to compete adequately this season. 2-0 Bournemouth. Dave: An intriguing clash with Hodgson of course being so fondly remembered by the Fulham faithful. Can’t wait to see Sessegnon and Schürrle in tandem for the Cottagers and how Seri fairs. The Eagles too have strengthened but I think at good debut win back in the top flight for Fulham 3-1. Alex: For me Fulham have done this best business in the league, strengthening in every area with quality whilst Palace have done well in signing Max Meyer amongst others, can Fulham integrate their new side in time? 2-1 Cottagers. Dave: Huddersfield are doomed and with or without their new keeper I see nothing other than a routine easy victory for Chelsea. 0-3. Alex: Huddersfield have added 2 good signings in Diakhaby and Kongolo from Monaco but are still fairly weak in depth, Sarriball makes its league debut and I think they’ll win. 0-2. Dave: Both sides have quietly strengthened but restraining Doucoure and having Chalobah back is fabulous for the Hornet’s spine. They need Andre Gray to find his feet but they should have too much for the plucky Seagulls. 2-0. Alex: Watford lost Richarlison and haven’t done the best business imo, whereas Brighton have showed real intent and think they could upset the cards this season. 1-2. Dave: What a tasty fixture with both teams adding to their squads efficiently/ Too late for some of Everton’s new signings to feature but Wolves will had had a good pre-season with theirs. I suspect a high scoring draw, 2-2. Alex: Wolves and Everton both added top signings over the window and this is arguably the tastiest fixture of gameweek 1, think it will be high scoring as well. 3-2. Dave: West Ham have shown serious intent for their new manager, who I admire and they will hope their investment pays off. I personally see them as dark horses for a Europa place but this is a stern first outing.and may come too early. A valiant effort may see them sneak a point but I think more likely Liverpool will prevail 3-2. Alex: West Ham are another team who’ve added wisely as have Liverpool, West Ham will hope their heavy investment pays off early but Liverpool will win. 3-1. Dave: Hard to call this one with Burnley barely strengthening and Saints struggling for goals. Gibson is a great signing to add competition to an already resolute defence but it is hard to see Burnley teaching the heights of last season. That said they will have too much for the opening day visitors. A 2-0 win for The Clarets. Alex: Two teams who’ve not really strengthened their side with little money spent so this may not be the most exciting game, with Burnley in Europa duty on Thursday, Southampton will win. 2-0. Dave: The choice of the first weekend fixtures pairs Arsenal, under a new and exciting regime, with Pep’s 100 point champions. City appear to have already integrated most of their WC stars back in which is surprising but Arsenal should be fresher, with many top players not in Russia. The whole footballing community and not just Gunners fans will hope Arsenal can dent Man City’s favouritism from the off and it may just happen. The home team can’t defend but they can score for sure so a high scoring 3-2 (Wishful thinking). Alex: Unai Emery leads out his team competitively for the first time against the reigning champions, this is so hard to predict with Pep’s World Cup stars mostly all back now but they may not stop the freshness of Emery’s boys have had a full pre-season bar a few. Heart- 3-0, head- 2-2. Thanks to @goonerdave66 for his answers. 3 points for a correct score and 1 point for a correct result- 38 people will play over the course of the season.